The new Airwolf 3D HD2x printer is now available - it's the biggest and baddest 3D printer with dual extrusion on the market. Want to print in 2 colors or materials at the same time? Need to print complex objects using dissolvable material (like HIPS or PVA)? The HD2x is here for you. Grab an HD2x and experience a collision of performance and quality. 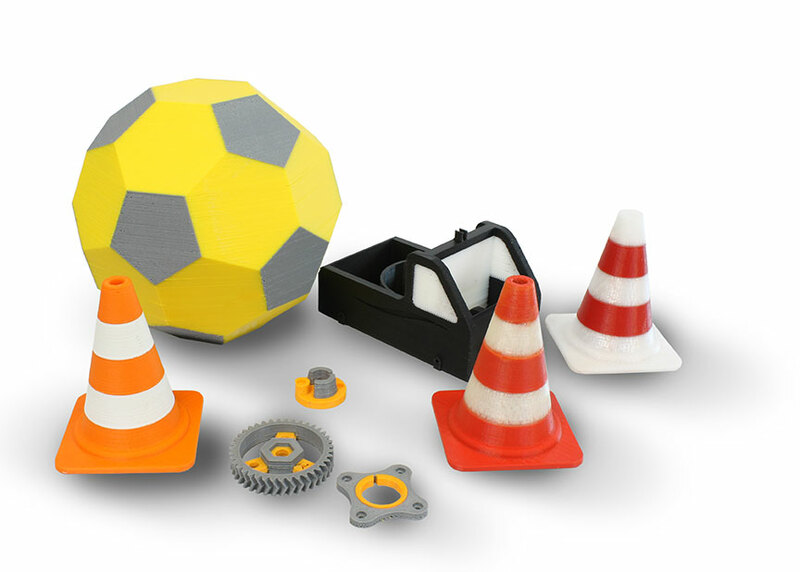 Print large scale prototypes with durable, strong materials (like Polycarbonate and Nylon). 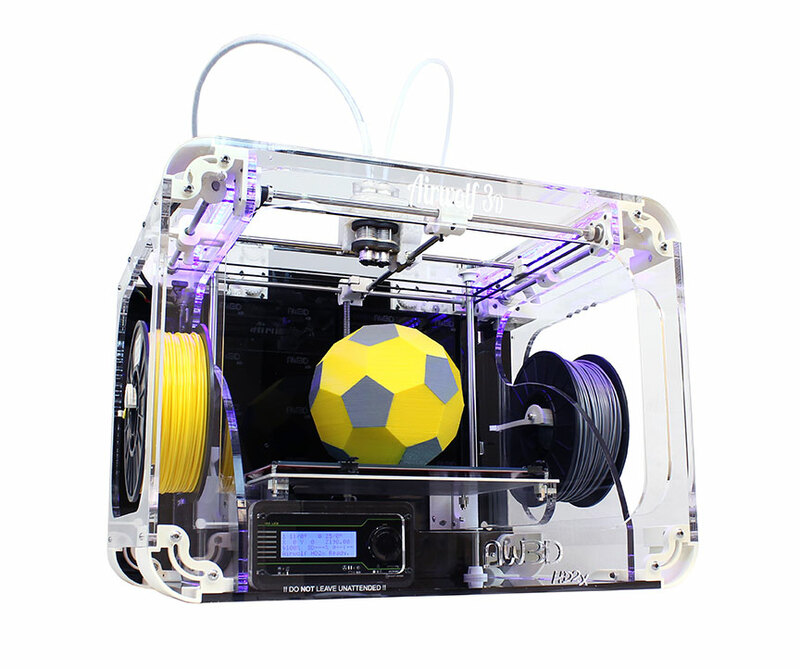 Take your 3D printing and prototyping to the next level with the Airwolf 3D HD2x. Is an Airwolf 3D HD2x right for you? The HD2x was imagined and crafted with engineers, professional designers, scientists and inventors in mind. This 3D printer is the flagship for Airwolf and is ideal for producing production quality prints with an incredibly low layer height of .06mm. If you require durability, precision, speed, and accuracy while printing your parts then you may be deserving an Airwolf 3D HD2x. If you need all the capabilities of a commercial grade 3D printer at an industry low price point, look no further than the HD2x! 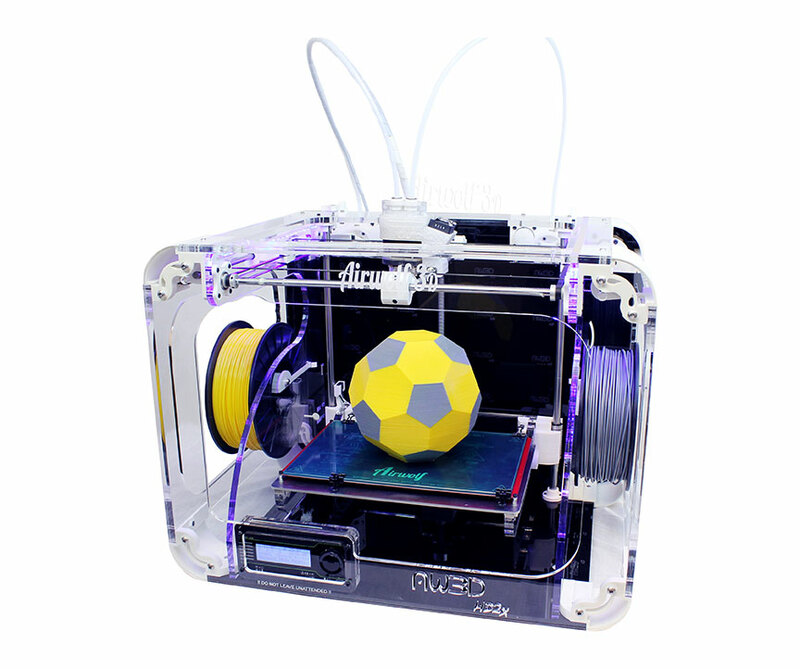 The possibilities are limitless with the HD2x because it comes standard with dual extruders. These dual extruders will allow your fantasies to become reality in a snap. Now you can print in 2 different colors or materials. That means you can print complex parts using support material such as HIPS or PVA. Start printing designs like the ones below using the cutting edge dual extruder on the HD2x. The HD2x features a massive class leading print volume of 1,150 cubic inches (12 ??x8 ? ?x12 ?? ), which equals 18,878 cubic centimeters and offers lightning-fast speeds and a partially enclosed, yet easily accessible proprietary frame design. The HD2x is also fully self sufficient, meaning that it is not necessary to couple it to a computer to print (easily print using the SD card). The HD2x comes standard with Airwolf 's new proprietary JRx high temperature hot end which is extremely jam resistant and can handle temperatures of up to 315 °C. The HD2x boasts several high quality precision features such as upgraded motors, durable nylon extruder gears, a finer 2mm threaded Z rod, and enhanced movement control speeds. This machine is proudly made in the USA by the dedicated team at Airwolf.